Are you in the market for a new job? Whether you’re looking to follow a passion or start a new career the first thing you will need to do is work on your resume. When you’re applying for new jobs from apartments on Cable Ranch Rd, the resume is likely the first thing a hiring manager or recruiter will look at. 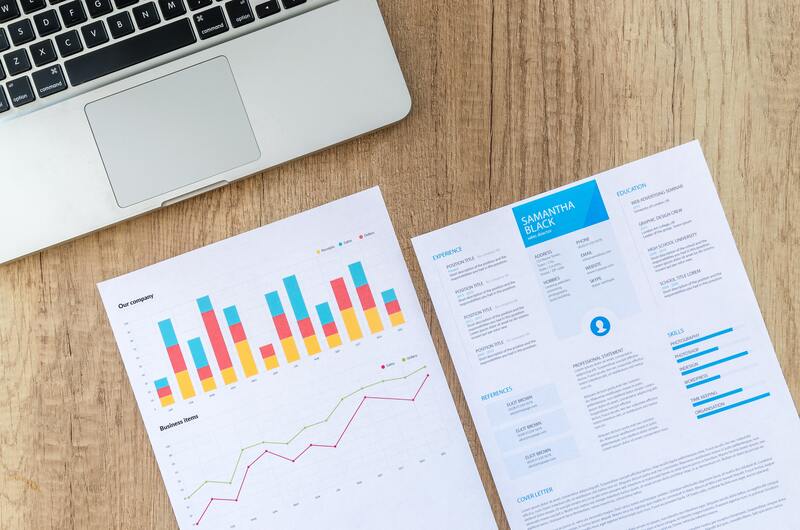 Depending on how long you’ve been at your current job, there is a good chance it’s been a while since you’ve last updated your resume. We’re focusing this blog on resume writing tips to help you get the ball rolling and move forward in your career. Let’s make your resume shine with these three resume tips! When you finish reading through, please be sure to share the link to this page with your friends and neighbors at your Cable Ranch Rd. apartments! Before your application even makes it to a person it’s highly likely that it first goes through a computer program to analyze whether or not you’re a good fit for the position. Most companies do this to help narrow down applicants, so it’s important your resume hits what they’re looking for. That’s where the keywords come into play. As you draft your resume, incorporate phrases and keywords listed in the job listing. As you apply for different positions it is likely you will need to tweak your resume based on the specific job, but the foundation of the document will stay consistent. Just be sure you are keeping the copy fresh so your resume doesn’t look like a copy and paste of the listing! You want your resume to highlight your best accomplishments, while also being concise. Since these are typically written in chronological order, be sure to write in active voice for the section of the role you are currently in. It should look something like this — “I live at apartments on Cable Ranch Rd” instead of “I lived at apartments on Cable Ranch Rd”. Starting your accomplishments with verbs will help your resume stay concise and keep track of your tone of voice. It can be hard to know where to start when writing your review. If you’ve completed performance reviews at your current job, referencing those can be a great starting point. Performance reviews do a great job at reminding you of all the accomplishments you’ve had. Take the highlights and feedback from your colleagues and use it to your advantage to make your resume stand out. Best of luck on your job hunt! We’re so glad you were able to join us for this week’s blog, and we sincerely hope that you’ll come back in a couple of weeks to read our next post when it goes live on our website!